Are you sick of your monotonous life? Do you feel like leaving everything and taking a break? Are you an avid traveller? Do you love nature more than you love anything else? Well, if the answer to any of the questions above is “YES” then this is just the perfect write-up for you! Check out this list of 10 most beautiful places to visit atleast once in your lifetime. Share it with your friends and let them enjoy the beauty too. Mersa Matruh is very popular and major Egyptian tourist resort which serves as a getaway resort for traveller who are looking for relief from the scorching heat and the angry sun. It is close to the Mersa Matruh Airport. The city is popular for its soft white sand and serene blue waves that kiss your feet as you walk past the beaches. 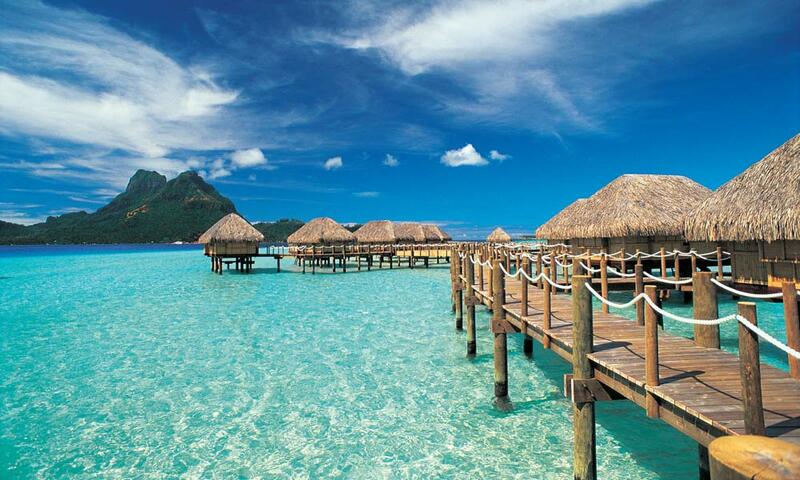 Bora Bora is an island in South Pacific islands. It was once a volcano, which has subsequently subsided to form a barrier reef. The reef ecosystem is the backbone of pristine clear blue water and the reefs also limit waves, providing a protected sanctuary. Victoria Falls are located on the border of Zambia and Zimbabwe and is the largest waterfall in the world by total area. The falls carry an astonishing 1,088 cubic meters per second of water down a 370 foot cliff. 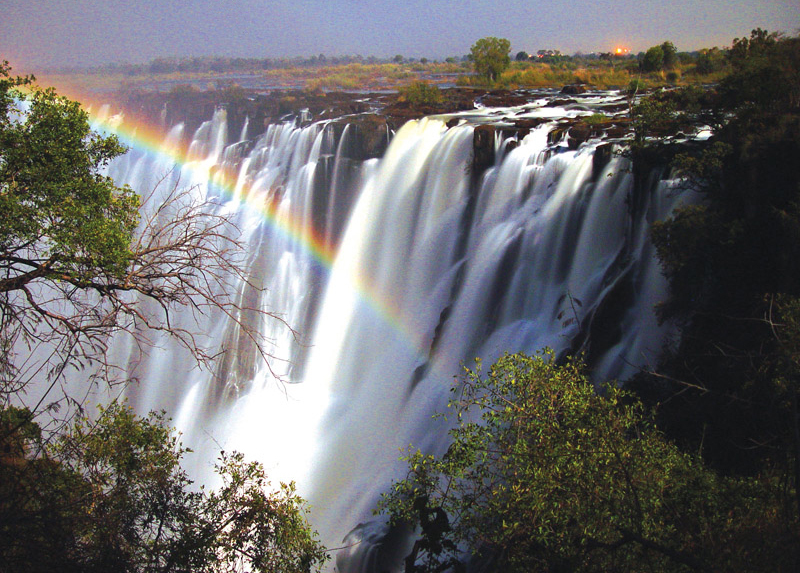 The droplets of waters will splash on you as you stand glaring at the majesty of the Victoria Falls. The Rainbow Mountains of Zhangye Danxia, China are a shocking yet fabulous result of weathering and erosion . The dramatic colors spread widely throughout the mountain range are a result of trace minerals associated within the sandstone, coloring the sand in beautiful hues of reds, greens, and yellows. The island of Svalbard is located in the midst of the great Arctic Ocean, north of mainland Europe. Trekking through Svalbard will make you witness polar bears, reindeer, and the not easily seen, Arctic fox. 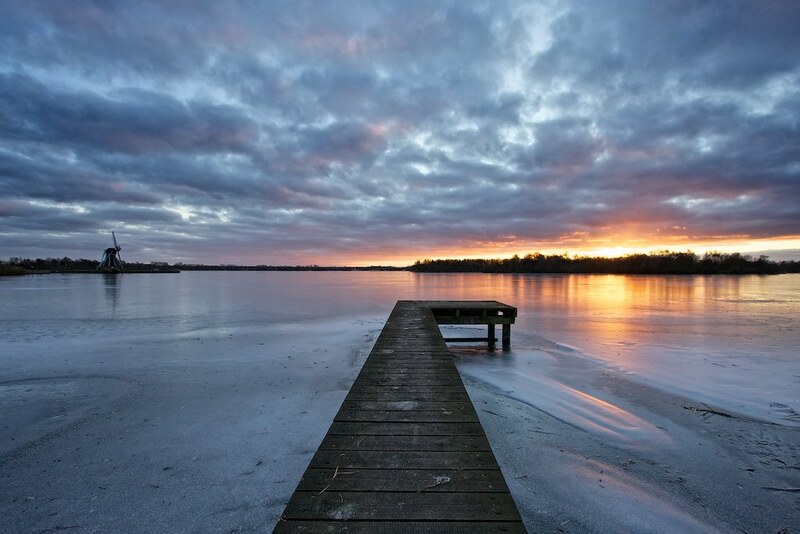 The famous ice skating on Paterswoldse Meer, a lake just South of the city of Groningen in the Netherlands is one of the most loved destinations for travellers. It is one of those places where you could skate in a natural setting, under a breathtaking view and surrounding. Venice is a sanctuary on a lagoon and a beautiful city which has 118 islands and more tourists than residents. The Whitehaven Beach is known for its sparkling white stretch of sands. The beach is a 7-8 km long stretch along the Whitsunday Island. The island is accessible by boat from the mainland tourist ports of Airlie Beach and Shute Harbour, as well as Hamilton Island. If you are planning to visit Scotland generally or are planning a trip to the Isle of Skye the you must visit the Isle of Skye. The Fairy Pools is located in Cuillins Hills, Isle of Skye, Scotland. The Fairy Pools are a collection of clear, chilly water pools and a bunch of sparkling waterfalls that flow down from the foothills of the Black Cuillins into Glen Brittle. This majestic and vibrant valley is located on the island of Kaua’i. It’s also home to one of the prettiest beaches on the Earth, the Kalalau beach. You can get to the valley by trekking which is the best way to explore the whole of the valley. It is loved by the travellers for its lush green surrounding and peaceful and refreshing environment. Don’t get hassled if budget is a constraint. You can get amazing discount offers and deals on flight and hotel bookings at Cleartrip. Check out once you decide, which destination you are heading to!